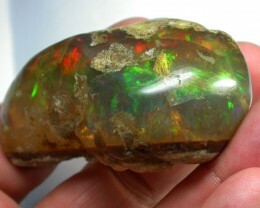 This natural untreated opal that is from the Welo area of Ethiopia It is showing multi colours of BLUE GREEN ORANGE RED. 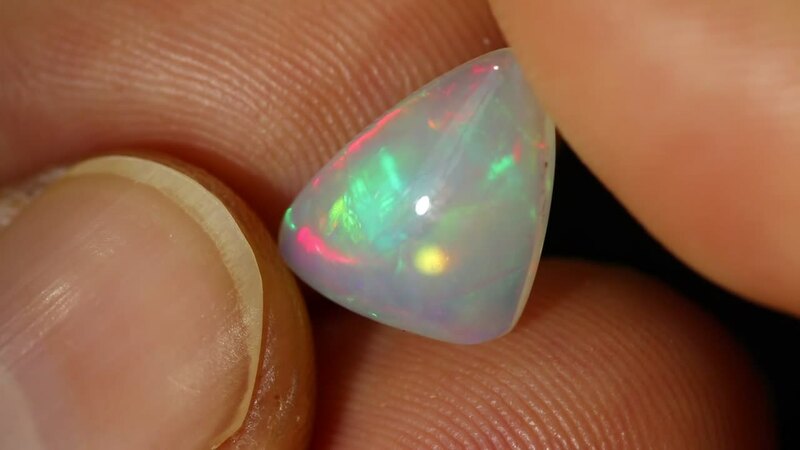 lNew Play-of-Color Opal from Welo, Ethiopia A new source of high-quality play-of-color opal was discovered in early 2008 in Welo Province, Ethiopia, about 500 km north of Addis Ababa. 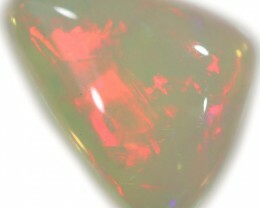 This deposit is geographically distinct from the Mezezo deposit in Shewa Province, which was discovered in the early 1990s (see, e.g., Spring 1994 Gem News, pp. 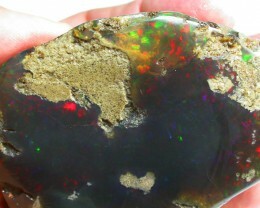 52–53).These contributors examined a parcel of about five rough and 30 cut Welo opals. 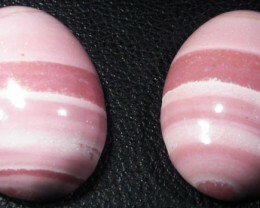 The cabochons showed good play-of-color ; the vast majority were white and transparent, but some had a bodycolor varying from light yellow to dark “chocolate” brown. 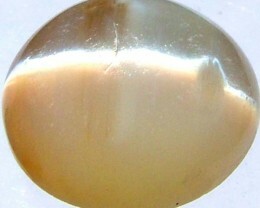 Compared to Mezezo opals (e.g., J.-P. Gauthier et al., “L’opale d’Ethiopie: Gemmologie ordinaire et caractéristiques exceptionnelles,” Revue de Gemmologie a.f.g., No. 149, 2004, pp. 15–23), those from the new deposit generally appear much whiter. We noted all spectral colors in the play-of-color in our samples. 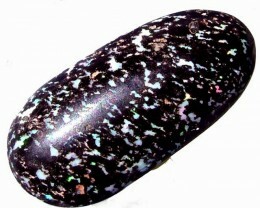 Most of the cabochons were similar in appearance to opals from Australia or Brazil. 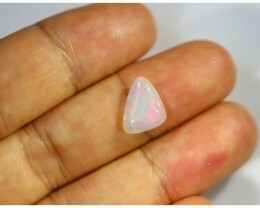 However, many samples displayed a columnar structure of play-of-color opal within common opal (figure 2), as first described in material from Mezezo (again, see Gauthier et al., 2004). 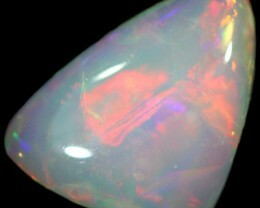 This feature is only very rarely observed in opals from sources outside Ethiopia.The hydrostatic SG of the opals ranged from 1.80 to 2.10. This broad range is in part due to the high porosity of some samples, as revealed by a significant weight increase after immersion in water (up to 8%). 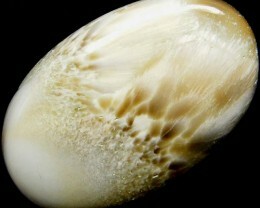 Fluorescence varied from inert to moderate yellowish white to both long- and short-wave ultraviolet (UV) radiation. Samples that were inert displayed an unexpected greenish phosphorescence of moderate intensity. 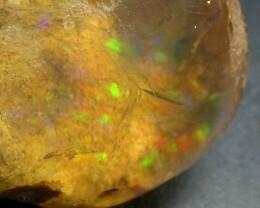 No luminescence was observed in the opals with a yellow-to-brown bodycolor, even the light ones; these darker bodycolors are probably due to the presence of iron, which quenches luminescence. 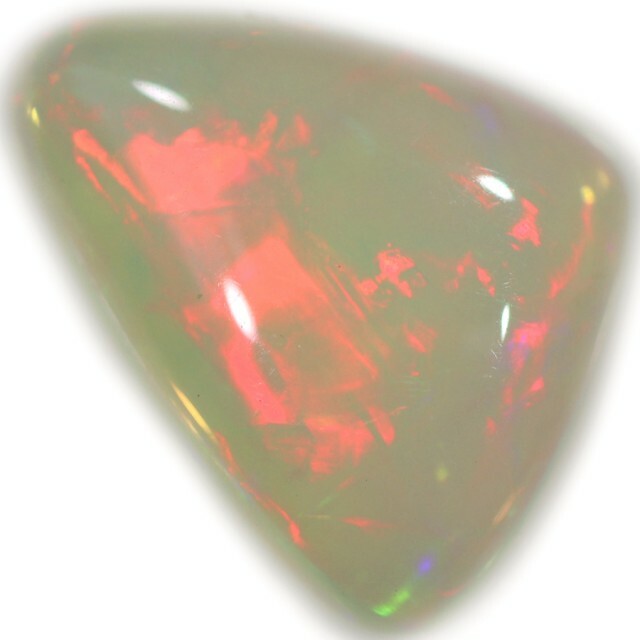 The yellow-to-green luminescence is likely due to the presence of uranium (E. Gaillou et al., “The geochemistry of gem opals as evidence of their origin,” Ore Geology Reviews, Vol. 34, 2008, pp. 113–126). Fourier-transform Raman spectra were obtained for several samples using a Bruker RFS 100 spectrometer. 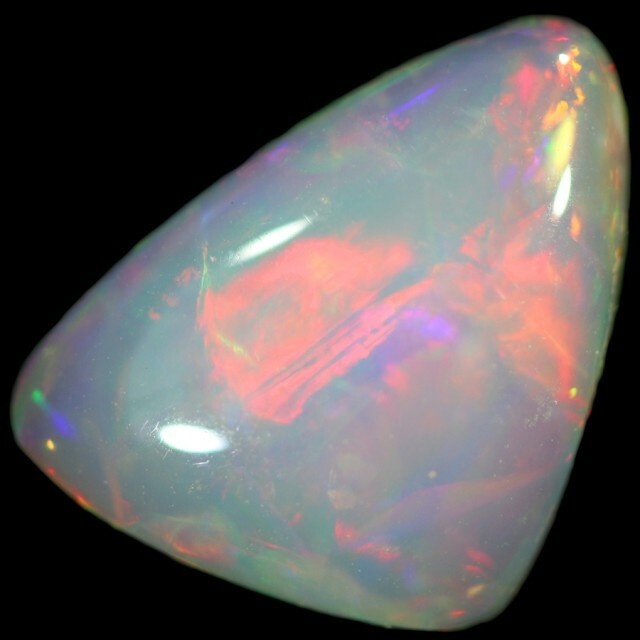 All spectra were consistent with opal-CT, with Raman bands at about 1070, 780, 670, and 345 cm-1, and water-related bands at about 3200 and 2950 cm-1.Welo opal is found in volcanic rock, possibly a rhyolite. The rough samples we examined consisted of opal (either common or play-of-color) cementing fragments of the host rock. 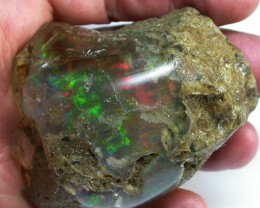 By contrast, opal from Mezezo fills cavities in rhyolite, forming nodules. 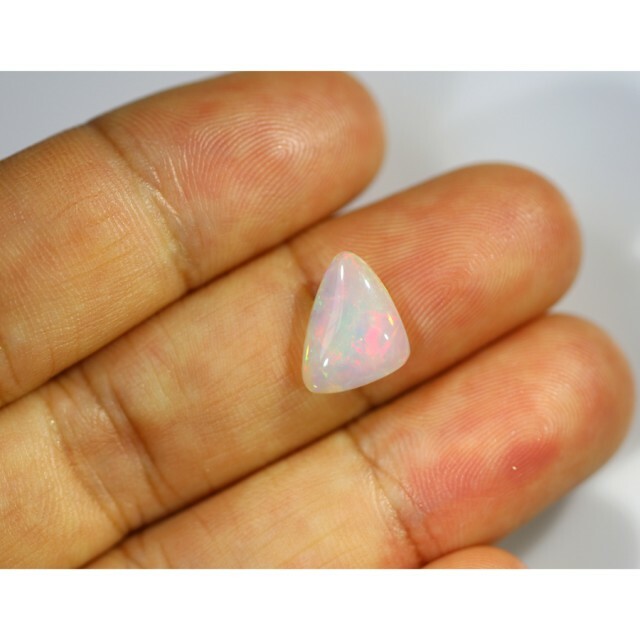 Despite these differences, the fact that columnar structures are seen in opals from both deposits (but very rarely from elsewhere) seems to indicate similarities in the conditions of their formation.